#237. A View of the Sierras. 23.5 x 15.5, oil om canvas relined. "Gilbert Munger" lower left. Consigned from a private collection in Florida and sold as lot 184 at Bonhams & Butterfields San Francisco / Los Angeles auction of 8 December 2004, lot #184, for $27,500 + 17.5% premium. 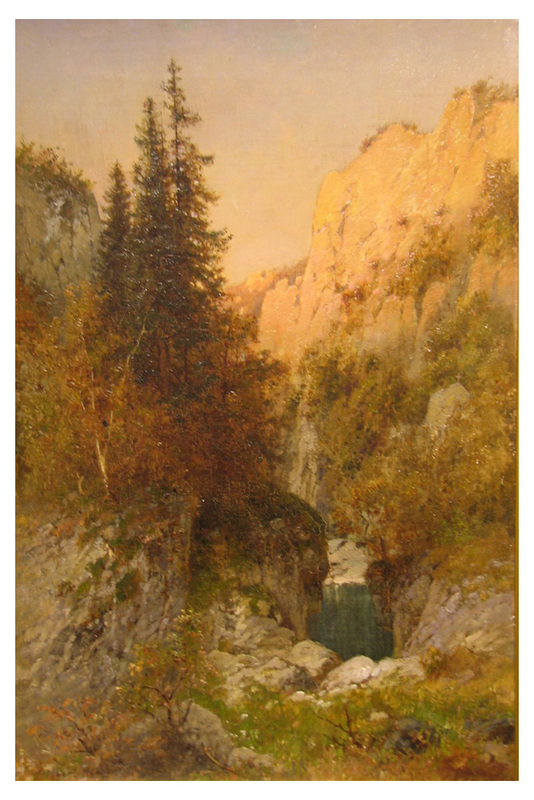 This painting is described in the auction catalog as "possibly illustrating the Merced River in Yosemite." It does resemble the terrain in the Merced River canyon downstream from Yosemite National Park. 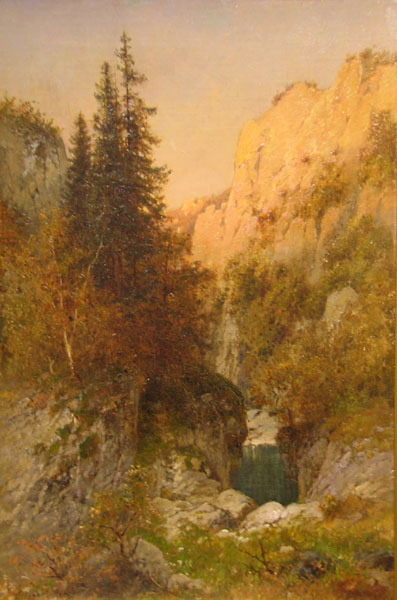 The style of this painting is different from other known western subjects by Munger and more closely aligns with certain Barbizon paintings. Perhaps it was done from a sketch after Munger moved to England in 1877, or even after he returned to the US in 1893. The signature is slightly different from other specimens, showing the only known example of a tilda-shaped line under the first name. Image from author's photo.